FOR what did Christ, just before His ascension, tell His disciples to wait? With what did He say they would be baptized? NOTE.-John the Baptist had foretold this baptism. He said: “I indeed baptize you with water unto repentance: but He that cometh after me is mightier than I, whose shoes I am not worthy to bear: He shall baptize you with the Holy Ghost, and with fire.” Matt. 3:11. For what work was this baptism to prepare them? “But ye shall receive power, after that the Holy Ghost is come upon you: and ye shall be witnesses unto Me both in Jerusalem, and in all Judea, and in Samaria, and unto the uttermost part of the earth.” Acts 1:8. What were some of the results of the preaching of the gospel under the outpouring of the Spirit? “Now when they heard this, they were pricked in their heart, and said . . . Men and brethren, what shall we do? Then Peter said unto them, Repent, and be baptized everyone of you in the name of Jesus Christ for the remission of sins, and ye shall receive the gift of the Holy Ghost. . . . Then they that gladly received his word were baptized: and the same day there were added unto them about three thousand souls.” Acts 2:37-41. “And by the hands of the apostles were many signs and wonders wrought among the people; . . . and believers were the more added to the Lord, multitudes both of men and women.” Acts 5:12-14. “And the word of God increased; and the number of the disciples multiplied in Jerusalem greatly; and a great company of the priests were obedient to the faith.” Acts 6:7. “And at that time there was a great persecution against the church which was at Jerusalem; and they were all scattered abroad throughout the regions of Judea and Samaria, except the apostles. . . . Therefore they that were scattered abroad went everywhere preaching the word.” Acts 8:1-4. NOTE.-“Persecution has only had a tendency to extend and establish the faith which it was designed to destroy. . . . There is no lesson which men have been so slow to learn as that to oppose and persecute men is the very way to confirm them in their opinions, and to spread their doctrines.”-Dr. Albert Barnes, on Acts 4:4. “Repent ye therefore, and be converted, that your sins may be blotted out, when the times of refreshing shall come from the presence of the Lord.” Acts 3:19. What event does he speak of as immediately following these times of refreshing? “And He shall send Jesus Christ, which before was preached unto you: whom the heaven must receive [Syriac, retain] until the times of restitution of all things, which God hath spoken by the mouth of all His holy prophets since the world began.” Acts 3:20,21. NOTE.-From this it seems evident that we may look for another outpouring of the Spirit for a final proclamation of the gospel to all the world just before Christ’s second advent and the restitution of all things. What prophecy was fulfilled in the Pentecostal outpouring of the Spirit in the time of the apostles? “But Peter, standing up with the eleven, lifted up his voice, and said, . . . These are not drunken, as ye suppose, . . . but this is that which was spoken by the prophet Joel; And it shall come to pass in the last days, saith God, I will pour out My Spirit upon all flesh: and your sons and your daughters shall prophesy, and your young men shall see visions, and your old men shall dream dreams: and on my servants and on my handmaidens I will pour out in those days of My Spirit, and they shall prophesy.” Acts 2:14-18. See Joel 2:28,29. What expressions in the prophecy of Joel seem to imply a double fulfillment of this outpouring of the Spirit? “Be glad then, ye children of Zion, and rejoice in the Lord your God: for He hath given you the former rain moderately, and He will cause to come down for you the rain, the former rain, and the latter rain in the first month.” Joel 2:23. See also Hosea 6:3. NOTE.-In Palestine the early rains prepare the soil for the seed sowing, and the latter rains ripen the grain for the harvest. So the early outpouring of the Spirit prepared the world for the extensive sowing of the gospel seed, and the final outpouring will come to ripen the golden grain for the harvest of the earth, which Christ says is “the end of the world.” Matt. 13:37-39; Rev. 14:14,15. For what are we told to pray at this time? “Ask ye of the Lord rain in the time of the latter rain; so the Lord shall make bright clouds, and give them showers of rain to everyone grass in the field.” Zech. 10:1. NOTE.-Before the apostles received the baptism of the Spirit in the early rain on the day of Pentecost, they all “continued with one accord in prayer and supplication.” Acts 1:14. During this time they confessed their faults, put away their differences, ceased their selfish ambitions and contentions for place and power, so that when the time for the outpouring came, “they were all with one accord in one place,” ready for its reception. To be prepared for the final outpouring of the Spirit, all sin and selfish ambition must again be put away, and a like work of grace wrought upon the hearts of God’s people. 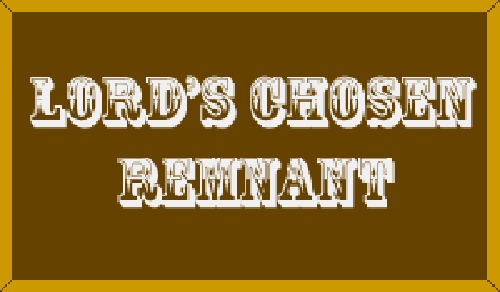 How is the closing work of the gospel under the out pouring of the Spirit described by the revelator? “After these things I saw another angel come down from heaven, having great power; and the earth was lightened with his glory.” Rev. 18:1. What does this angel say? “And he cried mightily with a strong voice, saying, Babylon the great is fallen, is fallen, and is become the habitation of devils, and the hold of every foul spirit, and a cage of every unclean and hateful bird.” Rev. 18:2. “And I heard another voice from heaven, saying, Come out of her, My people, that ye be not partakers of her sins, and that ye receive not of her plagues. For her sins have reached unto heaven, and God hath remembered her iniquities.” Rev. 18:4,5. NOTES.-A great work will be accomplished in a short time under the final outpouring of the Spirit. Many voices all over the earth will sound the warning cry. Signs and wonders will be wrought by the believers, and, as at Pentecost, thousands will be converted in a day. Those who fail to heed this final gospel call, like the unbelieving Jews, will be doomed to destruction. The seven last plagues will overtake them, as war, famine, death, and destruction overtook the Jews, who, not believing in Christ, failed to heed His call to flee, and shut themselves up in Jerusalem to their doom. Those who heed the call, and separate themselves from sin and from sinners, will be saved. The mercies of our God.